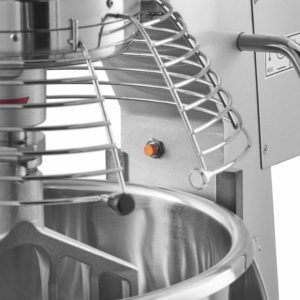 Leading commercial kitchen equipment manufacturer, Pantheon , has redesigned its high-performance PM20 planetary mixer to make it one of the safest mixers on the market. In addition to operational controls that aim to prevent accidental misuse, other safety features include secure locks on either side of the bowl and a heavy stainless steel wire guard that locks securely into place. There is also a motor safety switch with a heat sensor that prevents the mixer from operating if it becomes too hot through overuse. Pantheon’s company’s founder, Nick Pendlebury, says: ‘The sophisticated safety features bring a whole new level of assurances for operators, the most significant of which is a magnetic switch that prevents the machine running without the bowl in place. If the bowl is removed, the machine stops. 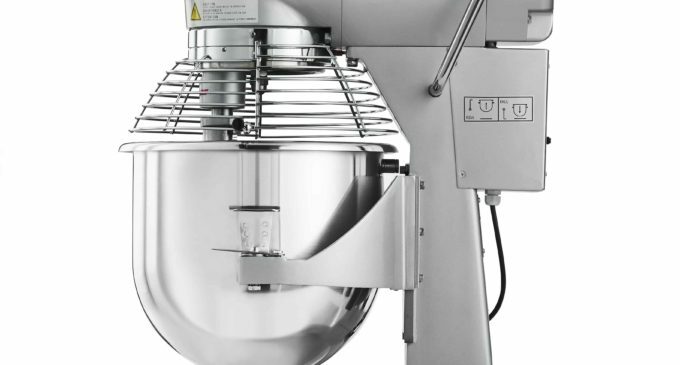 And although 20-litre mixers are the most popular mixer model in the UK, the company plans to relaunch the rest of the range over the coming months.